Increasingly, companies are using lean management. 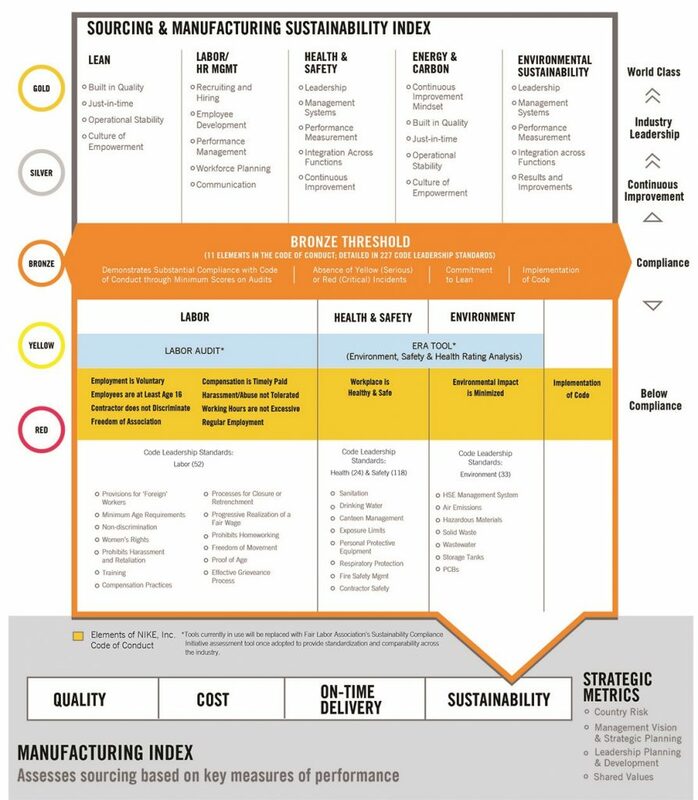 Lean management is adopted and implemented by companies throughout the world, in order to solve a problem or take operations to a higher standard. 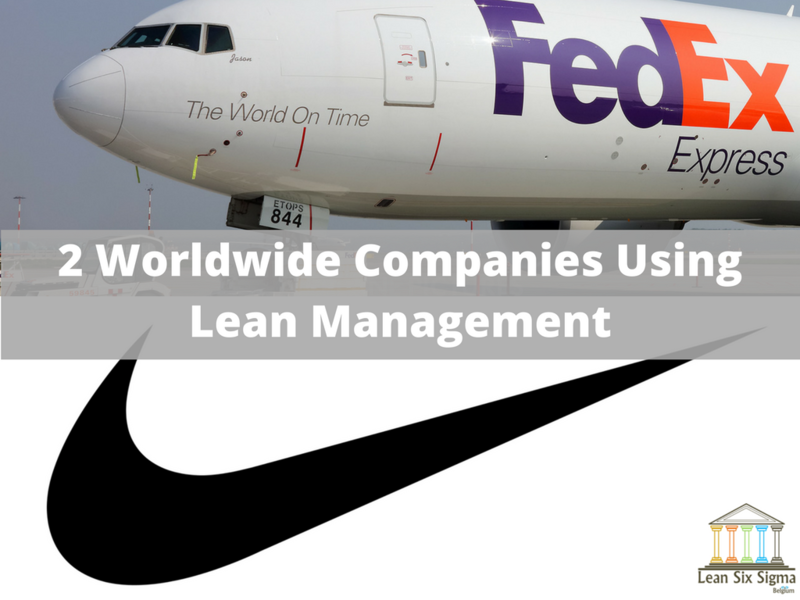 In this article we will look at two international companies, FedEx Express and Nike, to get an idea of how they used lean management to make their companies more efficient and therefore more competitive. Typically known for delivering mail and packages, FedEx Express is also committed to the maintenance of aircraft ships. FedEx Express has around 170 facilities worldwide, about 100 of those in the USA dedicated to this service. Aircraft maintenance is a huge operation and responsibility that takes a lot of money, space, man hours and financial resources. One of the major services provided to aircrafts is known as the “C-check.” Although the precise definition of this term varies, it can be used to refer to the relative maintenance of the aircraft. FedEx Express turned to lean management as a response to the global economic depression in 2008, in hopes of saving money during critical times. Since then, this operational approach has greatly benefited the company’s performance. Of the many locations, let’s focus on the FedEx Express facility in Los Angeles International Airport (LAX). Before they implemented the lean management approach, the crew could complete 14 C-checks per year. After following lean management principles, the crew reached a point where they could complete 30 C-checks per year. Before implementing lean management strategies, it took the FedEx Express LAX crew 32,715 hours to complete a C-check on an aircraft. That number is steadily decreasing. At one point, the crew needed only 21,535 man-hours to preform the exact same C-check. One example of how the operations changed to reap such large benefits and improvements involved creating milestones. The team got together to identify 68 milestones that are integral to the C-check while defining each segment using 4-hour increments. Identifying milestones enabled smoother workflow which amounts to less time wasted. Eliminating wasted time is a huge money saver, especially in an advanced industry such as aircraft maintenance where it is quite expensive to pay specialised mechanics, technicians and staff. Nike is commonly known for their athletic shoes. However, among the business crowd, Nike reigns as one of the top lean management companies. Year after year, Nike is pushing its efforts to reach new levels of waste reduction. Among its numerous accomplishments, 2012 remained a memorable year for Nike when it released its FY 10-11 Sustainable Business Performance Summary. Though Nike releases information about its goals and progress on an annual basis, FY 10-11 was special because it introduced something new: the Manufacturing Index. The Manufacturing Index was introduced to assure quality standards across Nike’s numerous factories. Placing these benchmarks allows for more consistency between factories and reduces miscommunication and misunderstandings. Defining and setting clear expectations created consistency, thus elevating the overall quality and performance. Another impressive accomplishment outlined in this report included a three year analysis of footwear factories emissions, demonstrating that CO2 emissions decreased by 6 percent while supporting a 20 percent production increase. FedEx Express and Nike are both international companies that have plenty at stake, yet using lean management proved to be smart and yielded monumental outcomes. For Nike, their major turn-around left a positive, long-lasting impact by standardising performance across factories and reducing their carbon footprint while simultaneously increasing production. While for FedEx Express, labelling their procedure with specific milestones enabled them to increase productivity and decrease the costs associated with wasted time.